Kate Middleton and Prince William brave the rainy weather as they arrive in Blackpool, England on Wednesday (March 6). The royal couple were there to visit a street in the city that demonstrated the housing problems that are faced there. Later in the day, the rain stopped and the royal couple stopped to speak to some local children during a walkabout the area. FYI: The Duchess is wearing a Sportmax coat, a Michael Kors dress and Manu Atelier bag. Kate Middleton Visits the Scouts' Headquarters Outside of London! 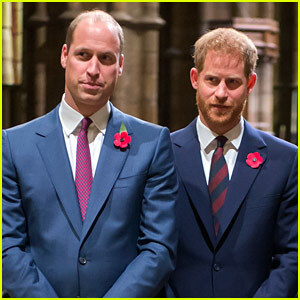 Is There a Royal Feud Between Prince William & Prince Harry? Kate Middleton's Outing with Queen Elizabeth Is Very Significant! 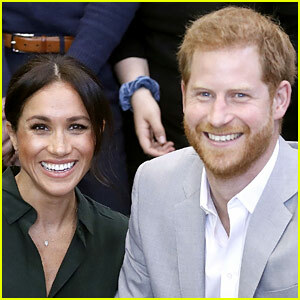 Kate Middleton & Meghan Markle Look Friendly, Greet Each Other Happily in New Photos!